Slowly improving but not yet great, the Wii U is still not a must-own console. Consider this the one-year-later update to my review of a console that I thought I'd be telling you was mandatory by now. The good news for people interested in getting a Wii U—or for people who already have one—is that Nintendo is slowly but surely adding quality, exclusive games to the Wii U's line-up. Pikmin 3 is as good a Pikmin game as Nintendo has ever made and as a good a real-time-strategy game as you can find on consoles. Super Mario 3D World is an extremely fun Mario game and the best Mario in two years (for better or worse, that covers four releases). Wii Party U is full of good mini-games that'd sell well on their own on a mobile device. Lego City Undercover is one of the best games made in the long-running Lego series and a sort of Lego take on Grand Theft Auto, to boot. 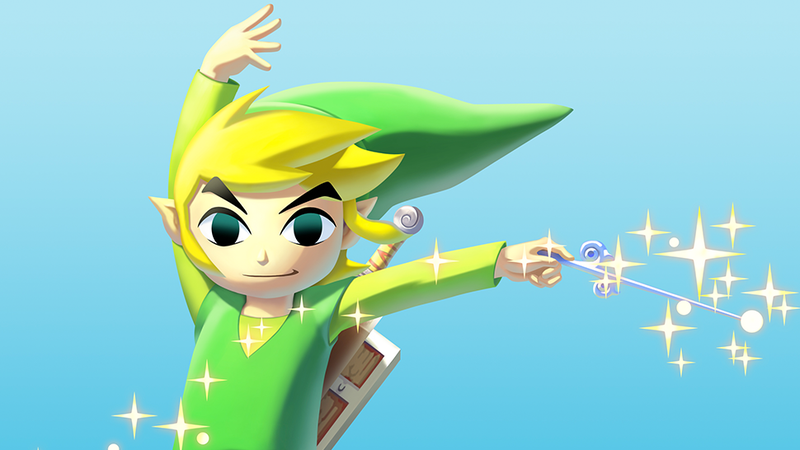 The Legend of Zelda: Wind Waker HD is a gorgeous remake of a fine Zelda game. Ubisoft's ZombiU is a fantastic, creepy first-person survival game. And yet... at the one year mark, the Wii U doesn't feel like it's hit its stride. It only has one must-play game (3D World). The future of third-party support for the machine is so unclear that it's hard to size up whether the Wii U still has a chance of being a good system for playing multiplatform games or if it's going to wind up being more of a Nintendo-only machine. Limits to the Wii U's hardware are also cropping up, and they're not the limits I and maybe others were expecting to be factors. The machine's limited horsepower make it likely that the Wii U will be able to run plenty more Xbox 360 and PS3-level games and few, if any, games targeted for Xbox One and PS4. That's not the problem. It's the console's GamePad—its centerpiece controller with a screen of its own—that is appearing more and more to be deficient. The trouble is that Nintendo's concept for the console isn't as well supported by the hardware as it could be. I've been playing the Wii U for a year and have recognized that Nintendo was wise to give console gamers a way to play games on an alternate screen when there's no TV around. The Kyoto giant, however, appears to have been unwise to present this option through a controller that runs out of power in a few hours, at most. Further, the console feels like it's meant to be portable, and while I did demonstrate the machine's portability in one memorable photo this year, that doesn't quite cut it. The Wii U feels, increasingly, like a half-step before Nintendo can make a portable machine that can output console-quality graphics when plugged into a TV without needing to be plugged into a wall. In other words, it feels like a prelude to whatever handheld succeeds the Nintendo 3DS XL. It therefore feels like it could be the last machine Nintendo needs to make before it can entertain the idea of converging its handheld and console lines into one. Regardless of what the Wii U could lead to, it's what it is that makes it either a must-own or a still-okay-to-not-have. Had the exclusive Sonic Lost World been great rather than skippable, maybe it'd have been a must-own. Had its Virtual Console library matched the one on Wii instead of starting over...had its operating system been upgraded to eradicate, rather than simply diminish, the several-second delays between performing basic functions... this all adds up to the same call I gave the console last year when I answered the question of whether you have to have a Wii U: Not yet. Third-party support has been better than expected, especially compared to the early uptake for the original Wii. It's not great, though, and seems to be fading. In one year, Wii U owners have gotten to play two Assassin's Creeds, two Call of Dutys, an excellent Rayman game and an improved version of Deus Ex: Human Revolution. Support for multiplatform games is, however, already diminishing in predictable fashion. The frequently Nintendo-skittish EA has pulled Wii U support for now and Wii U editions of games such as Batman: Arkham Origins and Assassin's Creed IV omit entire modes or DLC available in versions on other consoles. Kid-friendly games, chief among them Warner's Lego franchise, appear to be a lock long-term for Wii U, and why not? The system has plenty of juice to run those games. Third-party exclusive Wii U games made for the ground-up for Wii U, such as Ubisoft's terrific day-one ZombiU, increasingly feel like a thing of the past. It shouldn't have to matter that the Wii U didn't run several of this year's best games, including Tomb Raider, BioShock Infinite and Grand Theft Auto V.
Nintendo's in-house development studios can make great games of their own to justify a Nintendo machine as, at worst, a good second console to have. That's the argument Nintendo hasn't yet been able to win in the Wii U's first year, but it's the argument they may—and hopefully will—win in 2014. The Wii U simply needs to achieve a tipping point of great games. Does that happen when Mario Kart 8 hits? Or the next Smash Bros.? Or Yarn Yoshi? Or Project X? Or Shin Megami Tensei x Fire Emblem? All have been shown in some form. All should come out in 2014. Together, they might be enough. An increase of indie download-only releases in 2014 would help, too. Nintendo seems to be on track for all of that. The best comparison for the Wii U is Nintendo's own 3DS. That system came out in March 2011 and had a rocky first year. Its launch line-up was largely forgettable (advantage: Wii U with the innovative Nintendo Land and charming New Super Mario Bros U). The 3DS didn't get much strong third-party support (advantage: Wii U early on). Nintendo tried to satisfy early adopters over with a port of a classic Zelda game (even). Before the end of its first year it got a great Mario (Super Mario 3D Land) and a new Mario Kart, which, as we compare, begins to show the Wii U attempting to travel a very similar path but slipping behind the 3DS' pace. Year two of the 3DS saw the Nintendo handheld getting better through firmware updates and an expanding online store that featured bursts of good download-only games. As the machine's second year ended, we got the back-to-back releases of the must-own Fire Emblem Awakening and Luigi's Mansion: Dark Moon. The 3DS' year three has continued the streak with exceptional releases every month or two, from Animal Crossing: New Leaf to Mario & Luigi Dream Team to Pokémon X & Y to The Legend of Zelda: A Link Between Worlds. Despite a Phoenix Wright here and a Shin Megami Tensei there, the 3DS is largely a Nintendo machine and few 3DS owners are likely upset because of that. If Nintendo can manage the Wii U as well as it has the 3DS, considered by some to be the best gaming machine on the market right now, the Wii U will be essential within 12 months. Anyone who has a Wii U can take comfort that there are good games to play on it. If you're considering getting a Wii U, you could do worse. But the Wii U doesn't feel like a must-have system to me. The device is too flawed to compensate for a line-up insufficiently stuffed with great games. As with the PS4 and Xbox One, I'd advise fence-sitters to wait. You don't need a Wii U yet. Hopefully in 2014, you will. Nintendo's new(ish) console is almost there.